Auto enrolment for workplace pensions mandates that every employer in the UK put those employees who qualify into a pension scheme. Auto enrolment also requires that employers contribute into this pension scheme. As an employer, auto enrolment is part of your legal duty and it starts the day you hire your first employee. The Pensions Regulator is the UK regulator of all workplace pensions schemes. It provides guidance on your duties as an employer, how to choose a provider, how to communicate to employees and so on. For details, check out The Pensions Regulator website. Find your staging date (or your duty start date), or the date that your workplace pension duties begin. Add your employees to the workplace pensions scheme. Send the declaration to The Pensions Regulator stating that you have met your duties. You need to choose a pension scheme at least 6 months before your staging date. It is recommended that your pension scheme meet the auto enrolment requirements: Choose a pension provider that has a qualifying criteria and allows auto enrolment. Your pension provider might already be compliant with auto enrolment. In QuickBooks Online, we have a list of some of the more popular pension providers that meet auto enrolment requirements. This is not an exhaustive list, and we recommend that you select a pension provider that best suits your and your employees' needs. QuickBooks does not receive financial payments from any provider. You can use your existing pension scheme or choose a new one that meets your needs. For more information, see Choosing a pension scheme on The Pensions Regulator website. It provides a step-by-step guide for small employers to find a pension provider. Your staging date or duty start date is when your auto enrolment duties begin for you as an employer. Whether you have a staging date or a duty start date depends on when you start paying your first employee under PAYE. If you've paid employees on or before 30 September 2017, you'll have a staging date, which you can find in a letter sent from The Pensions Regulator about auto enrolment. You can also find your staging date on The Pension Regulator's website by entering your PAYE reference. If you pay your first employee after 30 September 2017, you'll have a duty start date instead of a staging date. You should have received a letter from The Pensions Regulator with details about your duty start date. What else should I know about employing staff for the first time? Where can I find my PAYE reference? You can find your PAYE reference in the booklet that HRMC sent you when you first registered as an employer or in other communication from HMRC. You can also find it on any payslip, P45 or P60 that you might have given your employees. Your PAYE reference can also be found on a P6/P9 coding notice or your P30BC white payslip booklet. You can postpone when you must auto enrol eligible employees up to 3 months. The staging date/duty start date remains unchanged. See The Pensions Regulator for more information about postponement. See the Employer's section of The Pensions Regulator for more on staging and duty start dates. What happens if I don’t comply or if I’m late to auto-enrol? The Pensions Regulator is strict about you meeting your legal duties as an employer for auto enrolment. If you don’t comply, there will be actions taken against you. Before you face enforcement and fines, you will get a warning letter and then a statutory notice telling you to comply. If you’ve missed your auto enrolment, you have to inform your employees and allow them to back-date their contributions. You, in turn, will also have to back-date and pay any contributions you might have missed. For more details on non-compliance or paying late, including enforcement for not meeting your duties, see What happens if I don't comply on The Pensions Regulator website. During Setup, you will be ask which option best describes your employees. If you select My employees are between 21-SPA years old and they earn more than 10k/year or the equivalent pay period, the next step is to set up your pension scheme. During a payroll run, you’ll be prompted to auto enrol. Select Enter pension details. To do it later, go to the Gear icon > Company Settings > Payroll. You may also see reminders about your staging date/duty start date on the Payroll home page, select Employees > Payroll, then select Set up policy. When setting up your payroll for the first time, if you answer Yes to Do you already have a workplace pension plan, you will be asked to fill in details for your pension. Select your provider. If you don’t have a provider, see Choose a pension provider. We also provide a list of some of the more popular pension providers that meet the requirements. If you choose another pension provider select Other and enter their details. Enter the Group (if applicable). This may be called something slightly different, depending on your pension provider (for example, Group, Group ID, Contribution Group or even Pay Code). It is a secondary identify used by the Pension Provider to make sure the pension contributions are going to the correct place. Choose whether you will use employee earnings threshold for auto enrolment. Select this option only if you chose this option when you set up your pension scheme with your pension provider. Employee earnings threshold will use defined limits to calculate the pension contributions for you and your employee. See the Earnings thresholds for the current year on The Pensions Regulator website. Choose the type of taxation method. Select one of the options. Work with your pension provider if you’re not sure which method to choose. You may also want to check with your pension provider about which tax method they use. What do these taxation methods mean? Net pay arrangement – pension contribution is deducted before taxes and NICs. The pension contribution is taken from gross pay (before taxes). This reduces the employees taxable pay by the amount of the employee contribution. This method allows for immediate tax relief and is best for employees who are higher or additional tax payers. Relief at source – excluding tax relief – pension contribution is deducted after deducting tax and NICs, that is the pension contribution is from the employee’s net pay. However, the employee pays the entire 1% employee contribution. The pension provider still claims the basic tax relief (currently 20%), so in effect the employee has a larger contribution to their pension pot. Relief at Source is suitable for employees who are basic tax payers. If a higher or additional tax payer is on a Relief at Source taxation method, they can claim the additional tax relief via a self-assessment. Enter the default contribution rates. Rates that you enter during setup apply to everyone in the company. Note that your employer and employee contribution rates must already be defined with your pension provider. If you want to change the contribution rate for a specific employee, you can do so when you run payroll. Remember that you are required to contribute the same amount, based on regular pay, into an employee's workplace pension while the employee is on statutory leave. What are my employer contributions? Pension contributions are a fixed amount or a percentage of the employee’s pay. Employers must pay a minimum contribution into their employees’ pensions scheme. Minimum contributions are currently 2% with employers paying a minimum of 1%. However, from 6 April 2018, there is an increase in the minimum contributions, with another increase due 6 April 2019. See table below for details. Choose the Pensionable pay types (this option is available only in Settings) you want to include in your pension earnings. These are the earnings you selected during your set up with the pension provider. Pensionable earnings will always include salary or wages, but you might have chosen to include other earnings such as bonus, overtime or even statutory pay. Check with your pension provider if you are not sure what you have chosen as Pensionable Pay. Eligible employees will be automatically enroled into the pension when you run your payroll. As part of your employer duties you must communicate the enrolment process with your employee. You must do this within 6 weeks of your staging date. Some pension providers will offer to send communication on your behalf. If they do not offer this, then you can use the letter templates available on The Pensions Regulator website: Write to your Staff. All eligible employees must be enrolled in the pension scheme. The eligibility for enrolment depends on the employee’s age and earnings. Earnings are also known as Qualifying Earnings. This includes salary and wages, and might also include commission, bonus, overtime, statutory sick, statutory maternity, statutory paternity, statutory additional pay or anything else that can be consider as earnings. You can turn off the pay type in Settings under Pensionable pay types. We assess all employees and auto enrol the eligible employees in to the workplace pension scheme. If you have a staging date/duty start date, but don’t have any other information entered, we give you the option to set up your workplace pension scheme details later. If you don’t have a staging date/duty start date, then we cannot complete the assessment as we cannot add the relevant employees to a workplace pension. We assess employees each time you run payroll, and then we auto enrol all eligible employees in the workplace pension scheme. You have the option to change the contribution or postpone enrolment. If you haven’t set up a workplace pension scheme, then we give you the option during your payroll run to enter your staging date/duty start date and other information, as described in Set up auto enrolment. 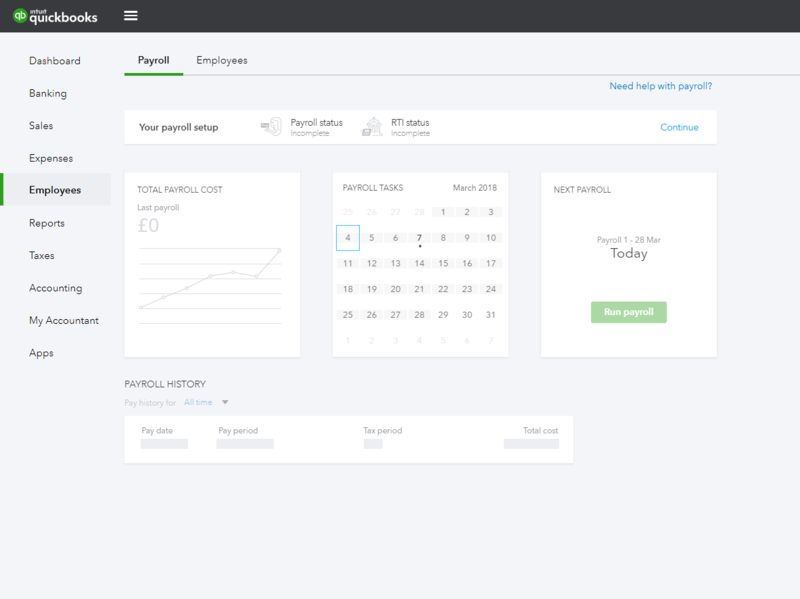 If you already have assessed employees using other payroll software, then be sure to answer the following questions about the auto enrolment status as you add each employee. What do I need to know about opting out? Once an employee has been auto enrolled, they have the option to opt out. The employee MUST contact the pension provider within a set period. Your pension provider will give you details on this process. As an employer, you cannot influence the employee into opting out. It is illegal to put pressure in any way on the employee. If the employee does opt out in the correct manner, then your pension provider will provide details of a valid opt-out. If there is a valid opt-out, then any pension contributions deducted from the employee must be refunded on the next available payroll run. You as an employer will also receive a refund of any employer contributions paid to the pension provider. What are the different worker categories? Based on how much an employee earns each pay, we assess whether the employee is eligible and also adjust the amount that is added to the pension scheme. All workers have the right to join, but only eligible workers must be auto enrolled. Your duties as an employer cover both eligible and non-eligible job holders. How would I know which workers are eligible? Based on the information in the employee’s profile, we assess whether the employee is eligible and list only those who meet the criteria. The basis of eligibility is shown in the following table. Can I postpone who to put in the pension scheme? You can postpone who to add to the pension scheme. However, postponement does not change the staging date/duty start date. You must write and inform the employee whose automatic enrolment you’re postponing, and you must let the employee know within 6 weeks from the date enrolment starts. Postponement suspends the duty of assessment and automatic enrolment, but not all the employer duties. You must communicate the postponement to the employee. For your convenience you can use the letter template. For more details on postponement, see Detailed guidance for employers from The Pensions Regulator. Within 5 months of your staging date/duty start date, you must complete the online Declaration of Compliance. The Declaration of Compliance informs The Pensions Regulator that you have met your automatic enrolment duties. It is an employer’s legal duty to complete the declaration, although you can delegate it to an agent or accountant or to your pension provider. Make sure that you know who is going to make the declaration. The declaration is a secure, online service accessed through the Government Gateway. If you do not complete this on time you will be subject to fines and penalties. Use the Declaration of Compliance Checklist to ensure that you have ready all the relevant information you will need to complete the form online.